A well known and highly respected maritime personality, Ray Schooling, passed away on the 7th August 2003 aged 75 years. Ray was born in Bloemfontein on 21st January 1928. His family moved to Durban in September 1939. He attended Durban Primary and then Glenwood High School until 1943 when having obtained a Bursary from the Durban Municipality he joined the South African Training Ship “General Botha” in January 1944, becoming Cadet Schooling Number 1378, and known to the “Old Salts” on board as “Chum” Schooling. The “Ship” was at that time located on Red Hill above Simonstown. In his senior year he played rugby for the “Ship” and did well finishing his course as a Senior Cadet Captain. On leaving the “General Botha” at the end of 1945 he joined Clan Line as a Cadet and served with this company in various vessels and capacities for the next ten years obtaining his Foreign Going Master’s Certificate of Competency in 1954. It was during this period that he met and married his first wife Joyce whilst in London studying for his Mate’s Certificate in 1951. They had two children Elaine born in 1952 in the UK and Terence born in 1956 in Durban. After obtaining his Masters Certificate he came ashore in Durban in 1955 serving briefly with a stevedoring company before joining the S.A. Railways & Harbours as a Mate on their tugs during that year. Ray served on most of the Durban harbour craft during the next five years. He was Mate on the tug “A.M. Campbell”, when she was called out on a salvage job. The weather that night was as bad as it can be south of Durban following a change of gale force wind from NE to SW. The “A.M. Campbell” got a tow wire up on the vessel, the “Kingsbridge”, but it parted shortly afterwards. It took most of the night under very difficult conditions to un-reeve the damaged 5″ tow wire, get the new one up from the hold and put it on the winch drum. No mean feat under the prevailing weather conditions. Ray was in charge of the afterdeck and when the tow was finally secured again at about 0400, Ray looked half drowned and with the smile we all knew so well took off his sea boots and emptied half the Indian Ocean out of them. For that night’s work their salvage money was the princely sum of 67 Pounds Sterling Ray and his family moved to Cape Town on his promotion to Relief Tug Master in 1961 and in 1965 he was promoted to Master. The second Suez Canal closure came in 1967, and Ray was promoted into the Pilots Wardroom. He was known to be a very competent Pilot, and interacted well with the Masters of vessels he piloted and this carried on throughout his career. In 1976 Ray was appointed the first Harbour Master and Pilot at Saldanha Bay, when S.A. Harbours took over from Iscor, and was responsible for getting the Marine Operations at that Port up and running. He was in charge of the port from then until 1984 when he was promoted to Port Captain of Walvis Bay. During that time the port expanded dramatically, from virtually an iron ore export harbour with two berths to the major oil storage facility in SA with many laden VLCC ‘s entering the port. Ray spent two years 1984 to 1986 in Walvis Bay, eventually being promoted to Cape Town as Port Captain in 1988. It was in 1987 or 1988 that ex “General Botha” cadets held every senior marine post in South Africa. I.e. Chief of the S.A. Navy, Head of the Marine Division of D.O.T., Nautical Adviser to S.A. Harbours and every Port Captain on the South African coast as well as the Senior Marine Managers of Safmarine and Unicorn. Ray was one of these elite marine personalities as Port Captain of Cape Town. A testimony to the high esteem in which Ray was held. Ray retired from the post of Port Captain Cape Town in 1991 at the age of 63 having completed 35 years in the S.A. Harbour Service. In 1964 Ray joined the South African Navy (Citizen Force) and was appointed as a Lieutenant. He was attached to SAS “Unitie” where he was able to pass on some of his knowledge. He was promoted to Lt. Commander in 1969. In 1975 -76 Ray was part of the first group of S.A. Navy CF Officers ever selected to do the Naval Staff Course. Another indication of his knowledge and competence. After retiring Ray acted for a spell as Harbour Master and Pilot in Simon’s Town, piloting many of the S.A. Navy and visiting foreign Navy warships. 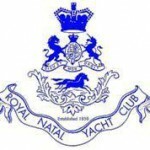 Apart from his duties as a Tug Master, Pilot, Harbour Master and Port Captain, Ray was a staunch and hardworking member of the “General Botha” Old Boys Association being Secretary and eventually Chairman of the Association from 1962 to 1976. He was also a long serving member of the Cape Town Branch of the Society of Master Mariners’ and was their President from 1989 until 1992. He was also active in the National Sea Rescue Institute both as Port Captain of Cape Town and after he retired as a Director. He was a member of the “Nautical Institute” and was elected a Fellow in 1999. There is no doubt that as a member of the Maritime fraternity Ray will be well remembered for his contribution to our profession in many fields. Ray will always be remembered for his professionalism, dedication to his job and his friendly, cheerful manner. Ray’s first wife Joyce who he married as a young officer in 1951 passed away in 1998 after a long illness. Ray married Michele in 2000 and we in the marine fraternity are very conscious and appreciative of their efforts in selflessly supporting the maritime fraternity. We wish Ray Fair winds and a Safe passage on this his final voyage.